Everyone who writes and publishes a book from the heart, likes to believe that people enjoy their work when they read it. After all ... this work is their baby ... or one of many. Plus ... we like a bit of positive feedback ... it helps to keep the creative juices flowing. While you might not agree with what is said/written, I place before you the opinion of others. If you would like to have yours added please feel free to read my work. I would be extremely happy if you did so. Sword of the Stone is the second book in the Merlin’s School for Ordinary Children series by Margaret R Blake, following The Ring of Curses. It sees the children start their second year of school, with some of the old students returning and some new about to find out what adventures behold them. From the back of the book: ...there is a strange and powerful force that surrounds the place and this force seems to remove all hesitancy. Once again invites are eventually dispatched, finding selected children waiting eagerly to gain entrance to the fortified institution. This year thought, Bridget Lincoln, Tilderly Davis and some of their friends, become savvy to a dangerous scheme about the retrieval of a magical stone and a sword. Everyone feels safe enough about their involvement- or lack thereof - until Bridget and Tilderly, along with three other students, stumble through a portal. Unfortunately, it is not an easy thing to return to the school, for it disappears, into the mists of time leaving everyone trapped inside another dimension. Pursued by an assortment of Ogres, Goblins, and Trolls, the children must make tracks to Grave’s End: the last known resting-place of this mysterious and much coveted weapon. 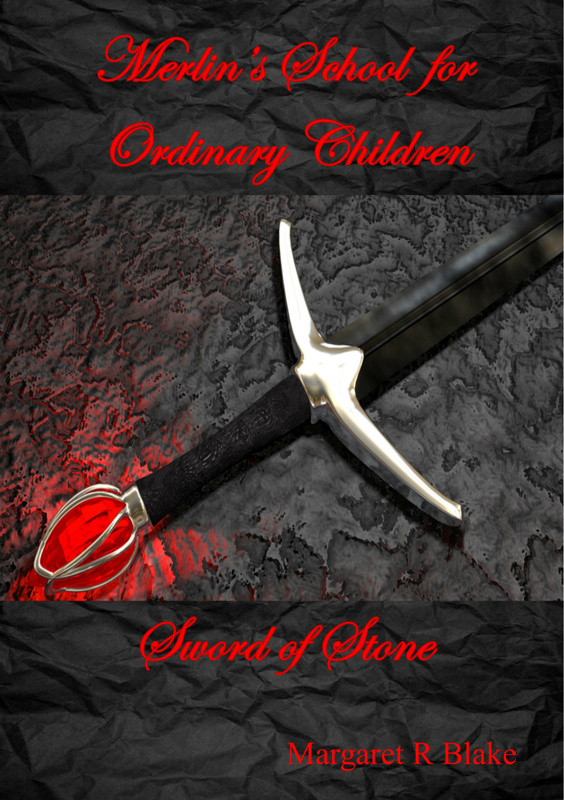 Margaret R Blake does a wonderful job at interweaving book one with book two, Sword of Stone. It has been some time between books for myself, having read The Ring of Curses two years earlier, yet the skillful writing style of Margaret R Blake had me reliving the first read. I felt as though it was only yesterday that I had finished The Ring of Curses. There is enough information provided in Sword of Stone for one to have not read The Ring of Curses and still enjoy the journey. Within Sword of Stone Margaret R Blake shows the growth of the characters as they mature and move into a new year, whilst maintaining their personality and likeness to the previous story. As an author she shows strength and consistency in writing style from one to book to another. New characters and a new adventure are introduced in Sword of Stone in a way that they enhance the previous reading journey and make you want to actually re-explore The Ring of Curses, or discover it for the first time. If I was to criticise one thing about Sword of Stone it would have to be the border around the edge of each page as I found this an unnecessary distraction to my reading. Putting this slight distraction aside I thoroughly enjoyed my reading journey, connecting with character and plot on many levels. The story flows beautifully with a mixture of laughter, excitement, thrill and magical mystery holding interest from chapter to another. Margaret R Blake writes in a way that provides the reader with a descriptive visual that teases the mind, bouncing the words and actions around in your head as you sit back, relax and enjoy your reading journey. 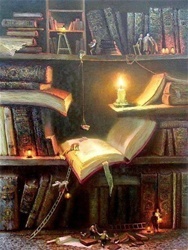 The wonderful thing about books is that they are different for each individual reader. Each reader of the Merlin’s School of Ordinary Children series will travel the same magical road but with a delight and wonderment that is individual to their own reading experience. Margaret R Blake has this all under control as she creates characters in the children and teachers that allow individuals to connect on different levels. 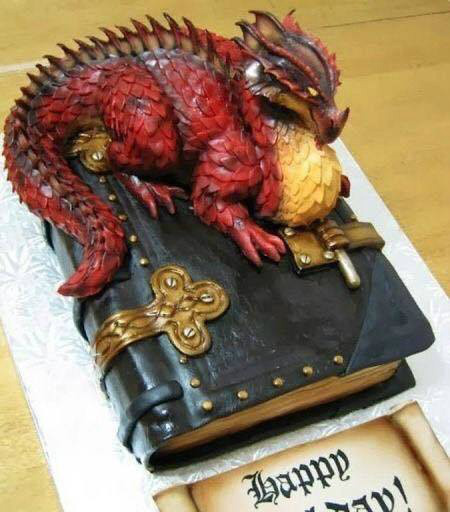 Throw in the fantasy and magic and you have a novel that suits all ages from late primary through to adults. Merlin’s School for Ordinary Children - Sword of Stone, along with The Ring of Curses and other books by Margaret R Blake are available in both paperback and ebook from Amazon. Light-hearted adventure full of fun and humour. 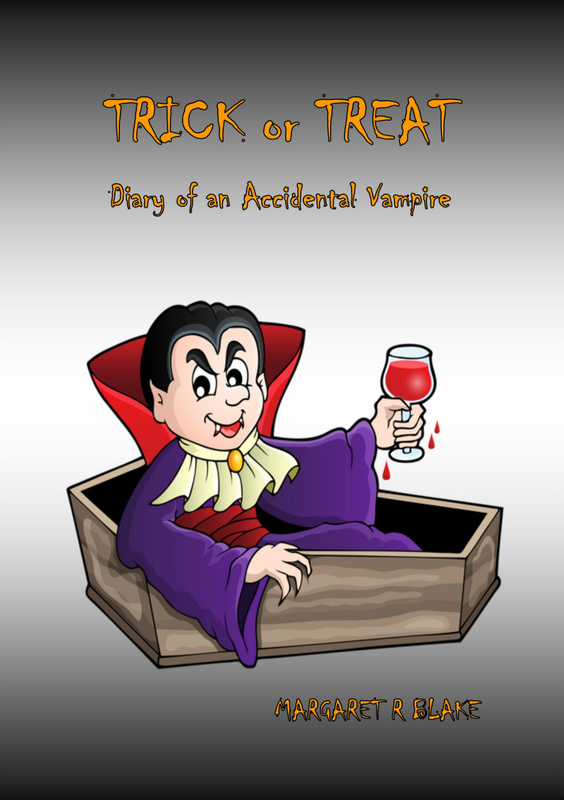 Trick or Treat Diary of an Accidental Vampire by Margaret Blake is a light read that is full of enjoyable and amusing moments. Suitable for the middle grade reader Trick or Treat is written in diary format being told from the point of view of Nigel D Tranter. Nigel D Tranter is a sweet kid that is easy to relate to. With a boy in the schoolyard image young teens will delight in the antics of Nigel and his mates and their desire to be accepted not only by family but by peers. Within Trick or Treat Margaret R Blake has created a fiction full of light-hearted adventure, fun and humor providing a novel that is an enjoyable read. My only criticism of Trick or Treat would be that of the font used. The font is small and tight being hard on the eyes which at times confused the brain slowing down the read. This may not be a concern for the young reader but for the ‘older’ adult reader like myself it soon became tiring. Trick or Treat Diary of an Accidental Vampire by Margaret R Blake is an all year round read that provides the fun that fiction holds. This is a book that will encourage the struggling reader to turn the pages, with the short diary extracts lending themselves to small amounts of reading at one time. It’s layout provides the new reader with the opportunity to set small reading goals, creating a sense of achievement. adventures that take you to places you least expected. From the reading of the first page a sense of excitement, a light tingling, entered my body. special bit of magic that captivated me. 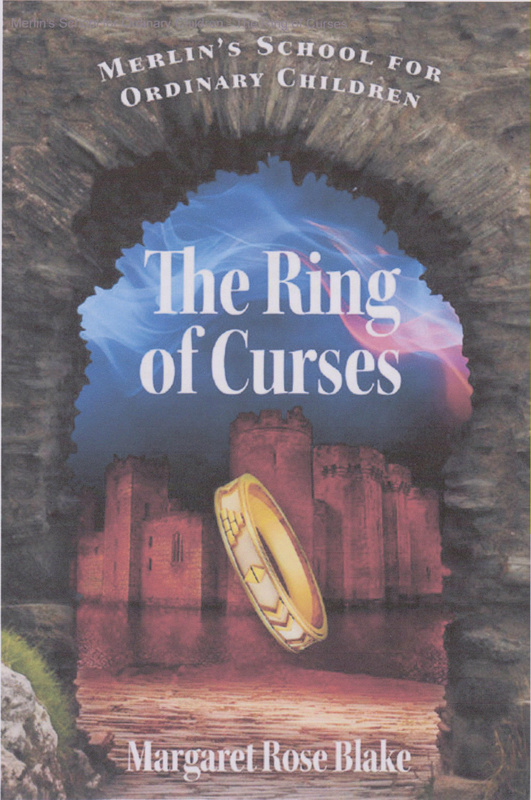 find out, but that is part of the mystery and wonderment that The Ring of Curses holds. Within The Ring of Curses Margaret Rose Blake uses words with eloquence and style. characters together, creating a town that has it all. nicely within this bracket, holding personalities and thoughts that are very appropriate. good, but wanting more, as the characters grow both personally and as a peer group. leave them wanting to share their reading adventure with anyone who will listen. The Ring of Curses — Merlin's School for Ordinary Children is a fantasy story about a castle that appears out of nowhere, and the children who are invited to go to school there. Unlike Harry Potter, where the children are all witches and wizards, these kids are neither magical nor talented. However, as they embark on their adventure, in a manner reminiscent of an Enid Blyton book, some of the characters turn out to be more special than they first thought. The kids of the tiny seaside town of Calder Cove are ready for a bit of excitement when they are invited to Merlin's School for Ordinary Children. Daffodil, Ernest, Orion, Tilderly and Bridget and friends go away for ten months to a mysterious place their parents can't visit. Lessons include how to behave at tea parties (for the girls) and how to make a fish trap (for the boys). In History, the children time- travel back to Middle America in Aztec times. Neville, a bully and thief, steals an ancient ring which sets off a chain of consequences. The strength of this humorous adventure story is that it has likeable characters. The book must be set in contemporary times, because when the children arrive at the school, they relinquish their mobile phones and are not allowed to use computers. However the story is written in an old fashioned style, with turns of phrase from an earlier time. The school staff is behind the scenes and remains mysterious to the end. We never really find out how they know what the kids are thinking or even the reason for the school in the first place. There is an obvious room for a sequel to further explore these questions. Something's happening in the sleepy town of Calder Cove! No doubt summoning the spirit of Roald Dahl as her muse, author Blake transported this reader to my own youth, when I'd waited in wondrous anticipation of Charlie Bucket and his grandfather's quest for the golden ticket. Merlin's School For Ordinary Children is a flowing poetic and effortless read that stokes the imagination. Follow the reluctant lovable protagonists Bridget and Orion, as they fend off the obnoxious trials of their nemesis' Daffodil Stimmer and Neville Cormac through a magical mystery and adventure, defying space and time. Blake creates an unforgettable world within the castle walls with colourful elaborate characters of students and Hogwarts -ish faculty. (I would've loved to have gone on one of Professor Flounder's field trips!) This book will entertain and satisfy any reader from grade four to adult! Big time recommend!! JOHN MORROW'S PICK OF THE WEEK - Merlin's School for Ordinary Children - The Ring of Curses. All I can hope for is that there are more books coming to captivate me for times to come. This so cleverly written series of books tells readers about a very special school, situated within a castle, in a fishing village in Calder Cove. Calder Cove is an ordinary town full of ordinary people who have ordinary children living ordinary lives. Well, at least that's how it would seem, but nothing could be further from the truth. 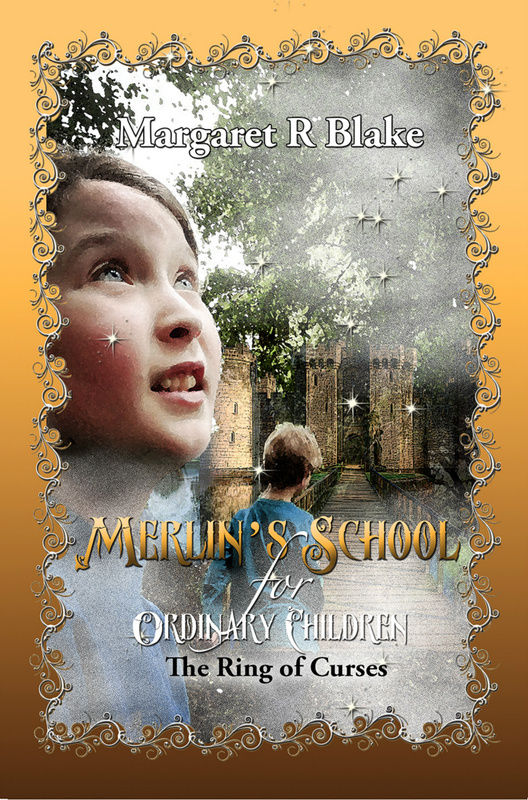 Get your kids reading next school holidays with Tasmanian author Margaret Rose Blake's first published novel Merlin's School for Ordinary Children - The Ring of Curses. Enter Merlin's magical castle and meet the weird headmaster and his peculiar teaching staff, along with Mrs Regina Wordsworthy the librarian, with her blue-rinsed hair and Mrs Flora Nettlewood the nurse, who reeks of camphor balls! There are no parents allowed and there is only one long school term. All you need to bring is 'your toothbrush and a change of underwear'. It's a school year full of mystery that keeps you guessing as the students go on an extraordinary adventure to discover the secrets of the school. We eagerly await the next book, Sword of Stone. THIS story takes place in the small town of Calder Cove, similar to the author's town, Bicheno (on Tasmanian's east coast). Choosing a township that was similar to her own has allowed Margaret Rose Blake to capture the atmosphere and relationships between characters well. The characters themselves are well-formed with distinct personalities. Nothing much happens in Calder Cove - until an old recluse dies. Months after his demise his old property is surrounded by tall screens, completely hiding it from the eager townsfolks' eyes. More screens appear, overnight, with not a sound being made. as this series of "weird and rather extraordinary events" unfolds the town becomes more and more curious as to what the screens could be hiding. They discover this one morning when they wake to find a large stone castle looming over the town. When they find out, "with a grand and rather bizarre opening", that it is merely a school - Merlin's School for Ordinary Children - they have more waiting to do, for the exclusive invitations are not precisely speedy in their arrival. Once in the castle the invited children have to adjust to a very different way of life. The Ring of Curses makes its appearance on an excursion to some of the aztec pyramids. This is quite well done, as there are some facts about the Aztecs put into this section. This leads to one student's disappearance: then a group of others investigating it due to the teachers' apparent lack of response. The plot of the book is a good idea and quite well executed.